From her Downing Street bunker Thatcher had issued an order: 'Get Scargill', and from this authorization a campaign had been launched to destabilize and sabotage the NUM and destroy its elected leader. The year was 1990 and led by the Daily Mirror under the editorship of Robert Maxwell one of the most savage media and legal campaigns against a public figure in Britain in recent times was being launched. Scargill was being accused of stealing money meant for the NUM donated by the Soviet Union and Libya. He had also apparently asked Colonel Gaddafi if he could supply some guns to the NUM to help during the great miners strike of 1984. As has now been confirmed through the various memoirs of members of the Thatcher government, the 1984 war against the miners was plotted, planned and premeditated; born from a twenty year vendetta against the NUM who had brought down past Tory governments. And indeed it was a war - a class war, essentially. The world's most advanced mining industry, billions of pounds of investment and one of the country's most skilled and adaptable workforces was being sacrificed in the service of a Tory vendetta and to remove a major obstacle in the road to the privatisation of public utilities and the opening up of the economy to market forces. An interesting point that Milne raises early on in his book is in regard to the notion that the miners strike was defeated. 'After the defeat of the miners strike' is a phrase that every pundit uses nowadays when referring to the period but where did it come from? Yes, there was a stampede back to work in 1985 and yes, just as Scargill had said would happen thousands upon thousands of miners lost their jobs as coal mines were closed due to being – so the Thatcher government insisted – uneconomic. Yes, the NUM was decimated and the Conservatives won another election but in Thatcher's eyes this didn't really constitute a defeat for the miners and a victory for the Tories at all. The NUM was still there and importantly, Arthur Scargill was still there which meant in Thatcher's eyes 'the enemy within' was still there and though wounded, had not actually been defeated. Milne details the lengths the Conservatives went to in their war and the way they utilized every tool in their box to ensure a victory, from the mass mobilization of the police to the use of GCHQ and the secret services. 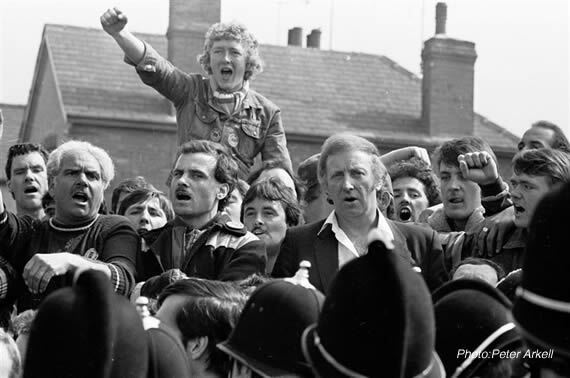 The miners strike may well have ended in 1985 but come 1990 the war still wasn't over and though there was no longer any need to physically take on the miners through the use of police lines and baton charges, the war of attrition continued. Looking back on it all now it's far easier to see the wood for the trees and it's a pretty shameful sight. Arthur Scargill has been vindicated and all the accusations levelled at him have been disproved. In fact, he's come out as a man of great principle who stood up for his class against those who would stamp it into submission. Shame, scorn and condemnation, however, upon all those who led the chorus of denunciation and outrageous lies against Scargill and the miners. How they live with themselves let alone sleep at night only they can know. The newspaper columnists and pundits who slandered Scargill mercilessly, one of them being Alistair Campbell who later became, of course, Tony Blair's press secretary. The whole of the Conservative government. The director-general of MI5 at the time, Stella Rimington, and the rest of the intelligence services who abused their powers and extended their remit no end. Roger Windsor, the NUM's chief executive who in all likelihood was an MI5 spy. Roger Cook, the investigative reporter who has never once apologised for the outright lies he broadcast on his television show, The Cook Report. Robert Maxwell, who himself stole £400 million from his own companies' pension funds before entering a watery grave. And not least of all, Neil Kinnock, the man whose finest hours consisted of outbursts against members of his own Labour Party. The man who presented the prizes at the British Press Awards in 1991 to the Daily Mirror reporters whose winning story was an absolute pack of lies. Shame, shame and shame again upon Kinnock. 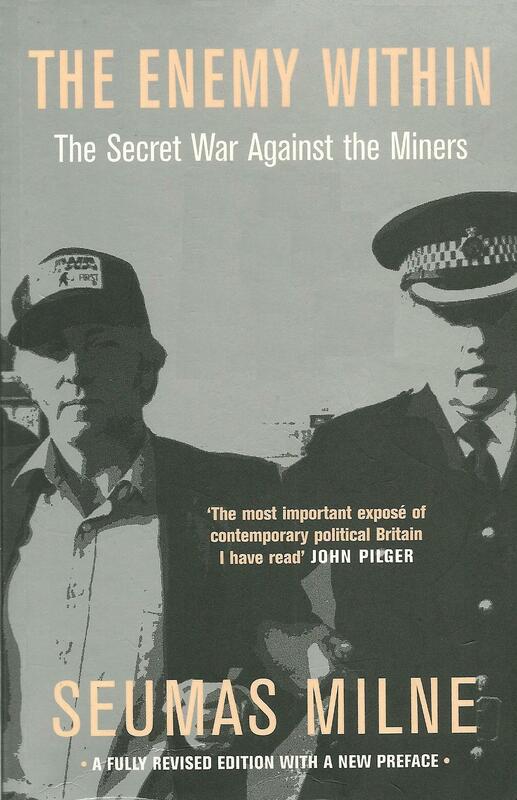 The Enemy Within – The Secret War Against The Miners is without any doubt an important book and the lessons to be learned from it are equally as important, particularly in regard to Jeremy Corbyn and the way the media these days constantly vilifies him. It being, of course, a direct echo of the way it vilified Arthur Scargill or indeed anyone it wishes to destroy. Subsequently, it would be naïve to not believe the fingerprints of the intelligence services are all over the Corbyn situation just as they were over the Scargill affair. There is indeed such a thing as 'the enemy within' but all the evidence points to it not being the miners or Arthur Scargill or anyone or anything the media presents it to be but the security services of Great Britain and whatever government they're working with at the time. Particularly if it's a Conservative one.